Monnit wireless voltage meters are capable of measuring the voltage off another device, battery, or sensor. 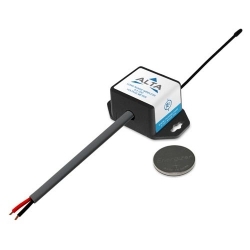 This sensor is capable of measuring voltage up to 5 VDC by connecting the leads on the sensor to the positive and ground terminals of the device being measured. Examples of interfacing devices include, but are not limited to: Strain Gauge, Pressure Transducer, RTD, Thermistor, or Thermocouple, Piezo Electric sensors, Photoresistor, Industrial Accelerometer, any kind of variable resistor, any kind of sensor that outputs a voltage, etc. If the device being measured is passive, the user must supply their own excitation voltage, as the Monnit sensor is really just a “voltage observer”. Cannot be used for AC voltage measurement. 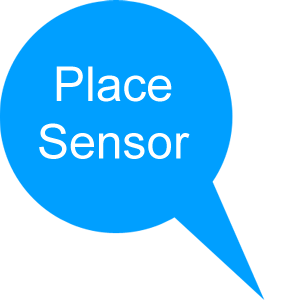 ALTA sensors offer 3 to 4 times the range of standard sensor platforms, extending non-line-of-sight reach to an exceptional 1,000+ feet through walls (12-14 walls typical). Using Frequency-hopping Spread Spectrum (FHSS) also allows ALTA sensors to have better interference immunity from other wireless devices. 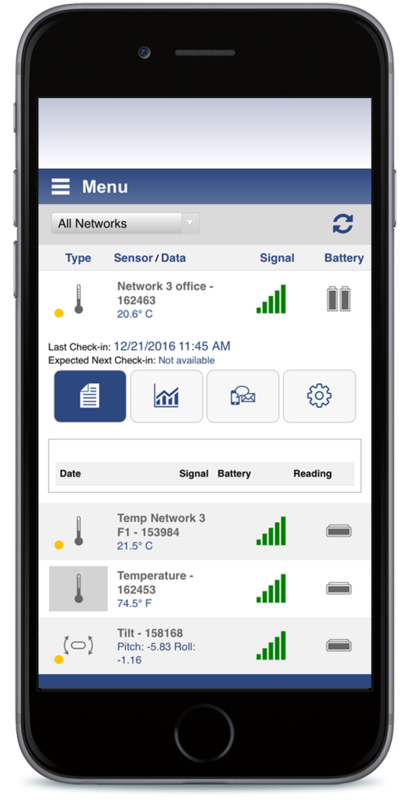 Superior power management provides ALTA sensors with almost twice the battery life of Monnit’s standard wireless sensors. Coin cell sensors typically last 3+ years. AA and Industrial sensors typically last up to 10+ years. ALTA products employ Monnit's new Encrypt-RF™ Security (256-bit Diffie Hellman key exchange and AES-128 CBC encryption for all sensor data messages), so security is maintained at all communication points from sensor to gateway, gateway to software, then back again. 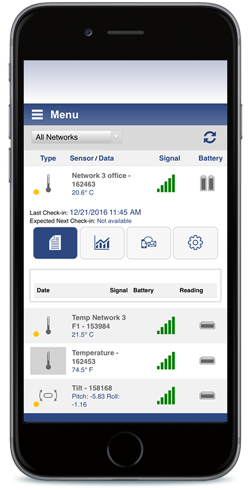 Integrated on-board data storage allows ALTA sensors to store data messages if communication to a wireless gateway is disrupted (power outage, Internet outage, or out of range). Messages that can’t be delivered will be time-stamped and stored in memory (up to the last 512 messages) until communication with the gateway is restored, at which point the messages will all be transmitted. Over-the-air updates allow ALTA products to be updated remotely if new fixes or features become available. 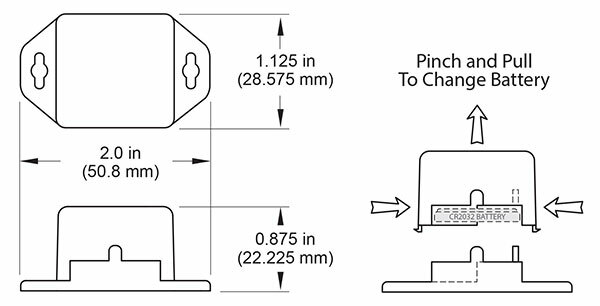 WARNING: Use caution when interfacing to the Monnit Wireless Voltage Meter.Negative voltages, any kind of AC Voltages, or DC Voltage exceeding 10V WILL DAMAGE the electronics of the Monnit Wireless Sensor. Monnit is not responsible for troubleshooting, replacing or reimbursing damages incurred by disregarding this warning. What does this wireless sensor's data look like in software? Certifications CE Certified. Tested and found to comply with: EN 300 220-2 V3.1.1 (2017-02), EN 300 220-2 V3.1.1 (2017-02) and EN 60950. * Actual range may vary depending on environment. 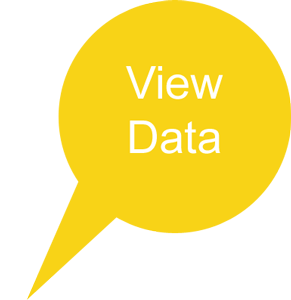 ** Battery life is determined by sensor reporting frequency and other variables. 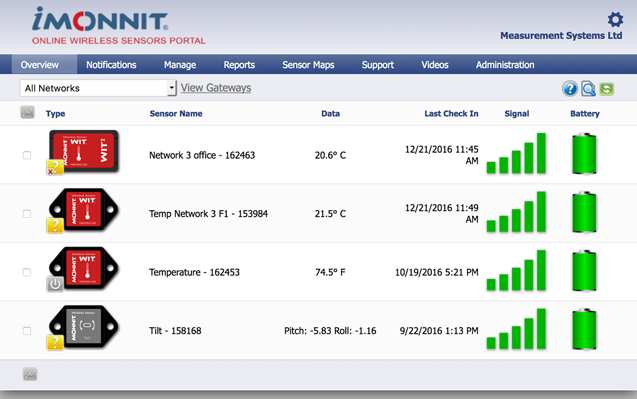 12 month subscription to iMonnit Premiere monitoring service for your wireless sensor network. Replacement CR2032 coin cell batteries for use with Monnit Wireless Sensors. 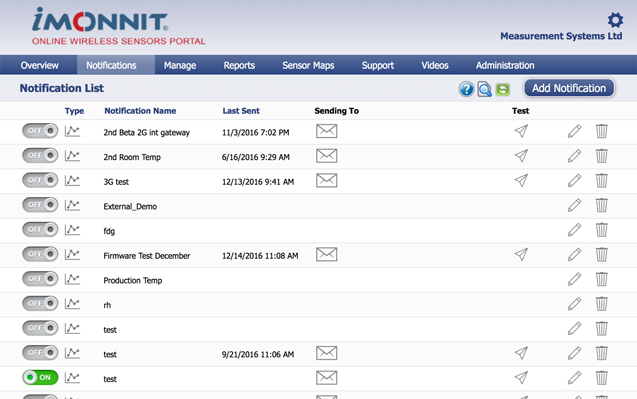 The MonnitLink™ Ethernet gateway allows your Monnit Wireless Sensors to communicate with the iMonnit™ Online Wireless Sensor Monitoring and Notification System without the need for a PC. 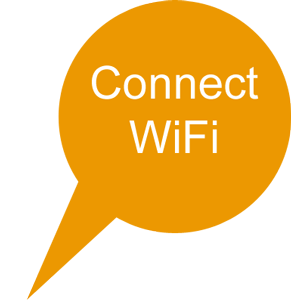 Simply plug this device into any open network port with internet connection and it will automatically connect with our online servers. The device will ..